With the Power-Fit customised Team Design mouthguard, you can upload your own team logo onto your guard so that your team are always with you. This unique feature will set you apart from the rest by showing your commitment and dedication to your team, as well as looking the part. Represent your team in style with this unrivalled fit and protection. 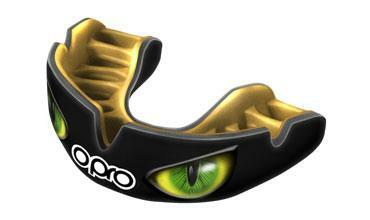 Here at OPRO Mouthguards, we truly believe that a good fitting mouthguard that provides unrivalled comfort and protection is pivotal to your success. By why stop there? We’re giving you the opportunity to customise and design your own Power-Fit mouthguard for your school, club or team. Simply fill out the form above and we’ll be in contact! We’ll even design your mouth guard with your clubs/teams colours in mind.